1771: the Colony of North Carolina stands in an uneasy balance, with the rich, colonial aristocracy on one side and the struggling pioneers of the backcountry on the other. Between them stands Jamie Fraser, a man of honour, a man of worth. Exiled from his beloved Scotland, he is at last possessed of the land he has longed for. By his side his extraordinary wife, Claire, a woman out of time and out of place, blessed with the uneasy gift of the knowledge of what is to come. In the past, that knowledge has brought both danger and deliverance to Jamie and Claire. Now it could be a flickering torch that will light their way through the perilous years ahead - or might ignite a conflagration that will leave their lives in ashes. Roger and Bree are married and everyone settles into life on the Ridge and what that might mean. Four months later, The Case of The Frenchman’s Gold creates intrigue the day after Jacosta and Duncan’s wedding. The hunt for Stephen Bonnet continues. The prospect of more time travellers is introduced. Also, Roger is hanged. Mount Helicon, North Carolina 1770 – Highlanders from miles around have come to attend the Gathering. The day is Bree and Roger’s wedding day. Roger cuts his neck shaving (foreshadowing?). Claire attends several surgeries, and Jamie receives a letter from Governor Tryon asking him to assemble men for the militia after the riot in Hillsborough. Roger visits with Jacosta, who tells him in no uncertain terms that he won’t be inheriting anything from her when she dies. She makes many unsavoury allusions, and Roger tells her where to go, unknowingly giving her exactly the reaction she was hoping for and establishing himself as a man of good character. The priest is arrested. Claire, Jamie, Brianna and Marsali go to see him in secret to have the children baptised. Happily, a protestant minister is found for Bree and Roger’s wedding. Everyone returns to the Ridge, though the domesticity is short lived as Governor Tryon wants men assembled to take up arms against the Regulators.The men of the Ridge, and Claire, head off. Josiah Beardsley, discovered to be an indentured servant, makes a reappearance. Jamie and Claire visit the family who own him and find a disgustingly kept house, a scared yet vengeful woman with a lisp, Fanny, and her husband, Aaron, who has been bedridden for over a month after having suffered a stroke. Jamie shoots Mr Beardsley at Beardsley’s request. Jamie and Claire take Fanny to Brownsville (?) but they are attacked by a panther and lose the trail along the way. They make camp, and in the morning Fanny has disappeared and left a half black baby in her place. Roger et al arrived in town several days prior. By the time Jamie and Claire arrive, the Governor has sent word for the men to stand down, as the Regulators have retreated. The baby is adopted by the Browns. Jamie, Claire, Roger, Bree and Jemmy ravel to River Run for Jacosta and Duncan’s wedding. In addition to the wedding; Jamie calls Philip Wylie out for flirting publicly with Claire, later beating him at cards and winning Wylie’s prized horse, Lucas; Jemmy suffers from croup; and a slave, Betty (Jacosta’s maid Phadrae’s mother), is found drunk, drugged, and later dead. Claire suspects foul play and she and Jamie sneak out at night to perform an autopsy. As Claire discovers a stomach full of broken glass, Philip Wylie makes an entrance, followed by everyone’s favourite antagonist, Stephen Bonnet, who flees before Jamie can catch him. The shed in which the ill-fated autopsy was taking place burns to the ground, but by this time everyone is back in the house where Duncan has been bludgeoned and Jacosta, threatened, in an attempted robbery by an “unknown” Irishman and his accomplice. Jacosta tells her family the story of the Stuart Gold that she, her husband Hector, and her brother Dougal (among others) smuggled a shore to the Silkie’s Isle in March 1745. The Battle lost, Hector returns to Jacosta to grab the gold and escape to the Colonies. This is also the story of the deaths of all three of Jacosta’s daughters- one from a gunshot, and the other two presumably from starvation in the aftermath of Culloden. Jacosta assures the family the gold is still in Scotland, but Jamie doesn’t believe her. Philip Wylie is declared innocent for now by Jamie et al, but the gang are eager to get to the bottom of the mystery. As they move to leave River Run, a letter arrives from Tryon asking Jamie to assemble men against the Regulators again. There is a skirmish at Alamance. Before the fighting begins, Jamie sends Roger to speak with the apparent Regulator Leader, Herman Husband, to try to avoid a confrontation. Husband has some kind of epiphany and leaves, begging the others to do the same. On his way back, a band of Regulators become dissatisfied, and Roger narrowly avoids a beating. Then he sees Morag MacKenzie, she who he helped on the Gloriana. He pulls her aside to warn her of the imminent fighting, and for reasons known only to him, he kisses her. Her husband, William “Buck” MacKenzie, sees. Buck is not pleased. He and his friends bind and gag Roger, and the now defeated band of Regulators further exercise their displeasure by playing Roger off as one of the famous Regulators to be executed. Roger is hanged. Morag rides to the Militia camp to warn Jamie that Roger is being hanged. When Jamie, Claire and Brianna arrive, the hanged men appear to be long dead. As they move to cut Roger down, it becomes he is, however perilously, clinging to life. Roger is nursed back to relative health, his breathing aided by a tracheotomy, but becomes sullen and refuses to attempt to speak. Governor Tryon deeds him 5000 acres of land in apology for nearly killing him. To ease Roger’s feelings of uselessness, Jamie sends him to survey their land. Alone, Roger starts to work on his voice. A storm comes and the area catches fire. Roger is aided in his escape by a group of runaway slaves, headed by Fanny Beardsley and her lover, and returns to the Ridge. During the same fire, Jamie, Claire, and Brianna had been visiting a local Indian settlement to help rid them of the ghost bear that steals their food and children. Jamie and Claire end up alone and struck by lightning – which kills one of their horses and the ghost bear – before returning to the Ridge. The men go hunting a heard of wild buffalo. Separated from the others, Jamie is bitten by a snake and Roger administers first aid. Back at the house, Brianna engineers a hypodermic needle from a snake fang to administer penicillin. With Jamie out of commission as he recovers from the snake bite, Roger meets with ex-Ardsmuir inmate and prospective new tenant, Tom Christie and his family. Other Arsmuir men seem put off by Christie. Kenny Lindsay explains to Roger the strained relationship between Jamie and Christie, and the origins of the stonemason lodge at Ardsmuir. Roger tells Bree the story of his mother’s death – on the stairs of an Underground shelter during the Blitz. Jamie and Roger travel to Wylie’s landing to confront (and kill) Bonnet. When they arrive, Bonnet is nowhere to be found. A family of Russians are bringing wild boars for Wylie to hunt and act as a helpful distraction when Jamie and Roger are attacked by Bonnet’s partner, Lieutenant Wolff. While the men are being ambushed up river, Bonnet finds the women and attempts to kidnap Bree and Jemmy. Marsali shoots him in the crotch and he flees. Jamie and Claire travel to River Run, where Lieutenant Wolff has been killed in his pursuit of the Frenchman’s Gold. Jamie means to hide the body in the mausoleum and before Jacosta can stop him, he discovers that the crypt is already hiding an extra body – and a casket full of gold bullion. Back at the Ridge, Jamie, Roger and Jemmy are out in the woods and set upon by a wild boar. They are still fighting for their lives when a wolf joins the fight – it’s Rollo, Ian has returned but says nothing of his wife or the circumstances surrounding his return. Ian brings with him Robert Springer’s – Otter Tooth – journal, outlining his trip through the stones and his purpose, written entirely in ballpoint pen. Our heroes fill Ian in on the whole time travel thing. Great synopsis. 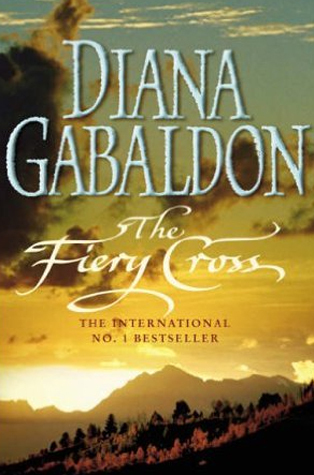 I read up to the Fiery Cross last summer and then got involved with other things. Your notes helped me recall the book so now I’m ready to move on to A Breath of Snow and Ashes. Thank you!! One year ago, I began F.C. and became mired in the first 1/4 of the book. It broke a one year streak listening to Outlander. I became fascinated w/the American Revolution (thanks to the musical, Hamilton). Now that I have read so many biographies of the Founding Fathers, my interest has cycled back to Outlander and the F.C. ; however, I know from experience and reading others’ reviews that it is the most tiresome of the Outlander series. Thank you for writing bullet points and including spoilers. Perhaps I can get right into Book 6 and move on w/Outlander! Must make amends for my impatience w/Fiery Cross. After contemplating skipping it, I chose to LISTEN to it (as I had all prior Outlander books). I have come about halfway through and find I am engaged and interested. The difference in this book is the myriad of everyday details; however, that’s what makes up the bulk of our lives– everyday mishaps that pile up. This book is lingering over babies, sickness, weddings/parties in depth. Glad I persisted with the series.